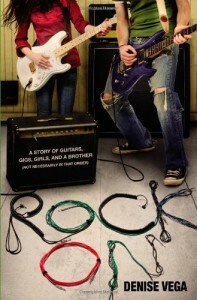 Rock On - Denise Vega - review - Lost in pages. I liked the blog posts and the texts, I was always looking forward to them. Del was a jerk, but it was nice seeing him and Ori work things out and get their relationship back. A lot of female authors try to write books in a male pov, and not all of them succeed at it. I think Denise Vega should probably stick to writing female ones. The romance was pretty cute too.